Dyer's Greenweed is a fully hardy, attractive, small, shrubby member of the pea family that can grow up to 60-90cm. 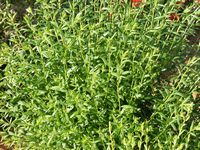 It is deciduous with bright green, smooth stems and stalkless bright green narrow pointed leaves. Bright yellow pea-like flowers are borne in erect narrow racemes from spring to early summer and mature into long, shiny pods. Dyer's Greenweed likes heavy soils that are alkaline to slightly acidic and full sun. Established plants do not transplant well. Regular pruning is not required, but shoots can be thinned out/ pruned after flowering to improve shape. Seeds can be sown in autumn or spring but germination can take some time due to hard coat dormancy. Germination can be speeded up with a light scarification. The flower buds can be pickled as a substitute for capers. 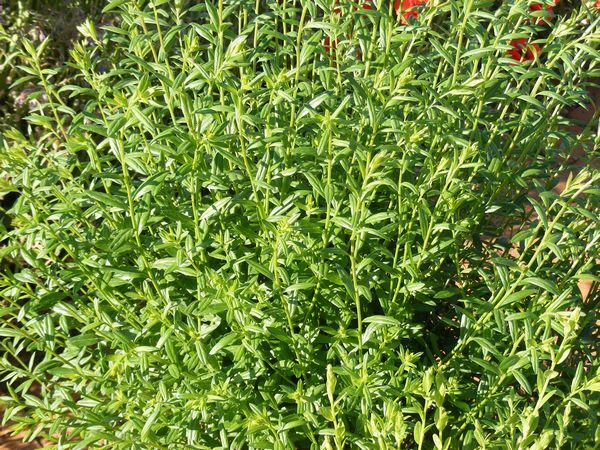 It was formerly used internally for gout, rheumatism and edema. Externally it was used to treat fractures, sciatica, abscesses and tumours. Dyer's Greenweed has, as the name suggest, been used since Saxon times to color wool. All parts of the plant, and especially the flowering tops, yield the water-fast pigment luteolin which was used either on its own to produce yellow or in combination with Woad to produce a strong green color.